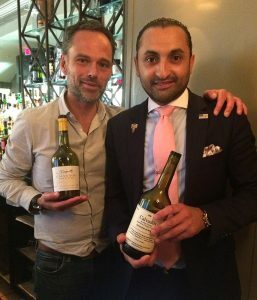 We are pleased to invite you on our stand at Bordeaux Vinexpo fair accompanied by Marc Jean (The Normandy Barrière Hotel head bartender at Deauville) who will prepare for you his delicious and creative cocktails. We are located Hall 1 Stand A284. 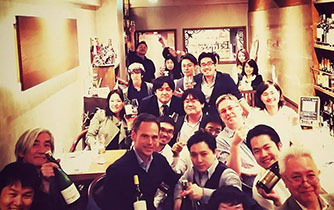 From the 13th to the 16th of May 2019, meet us and enjoy our spirits selection and some oddities. 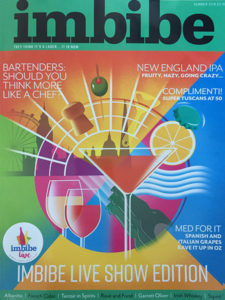 The Feb. 24, 2019 issue of Sunday Times Magazine had a feature titled ‘While the cold lingers, look to France to lift the spirits’. 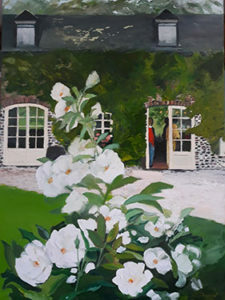 Presence, an artist’s view of Domaine Dupont shop entrance, is a new painting by Nathalie de Chaumont. The artist is currently exhibiting at the Casino de Cabourg, from February 4 to March 3, 2019 in the main lobby. Nathalie de Chaumont will be present from Friday, February 15 to Sunday, March 3, to present the theme of the « Sea Day – Sea of Night » serie and also to exchange with visitors. « Keeping spirits up. In the quiet green acres of northern France, a heady apple drink still reigns. 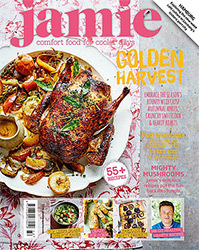 Nick Hammond explores the Calvados of the Pays d’Auge ». 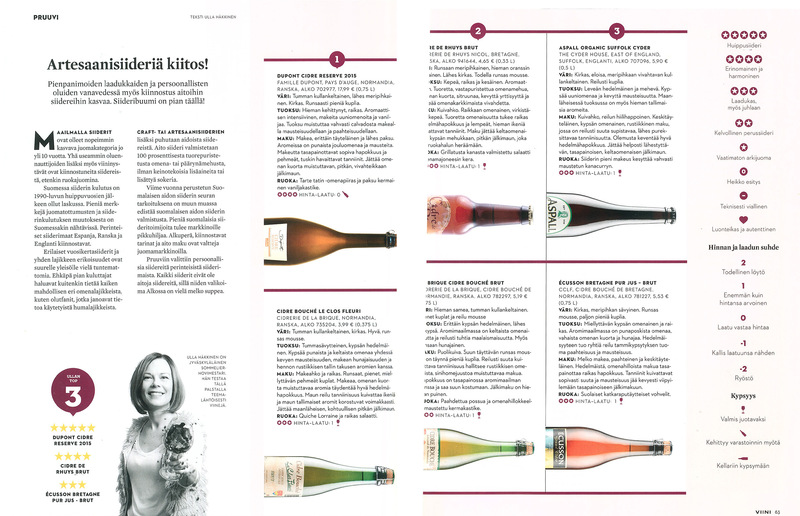 For the Summer 2018 issue, Imbibe Magazine has tasted five french ciders. Six months’ ageing in Calvados casks creates an extraordinary nose that’s full of barnyard funk, apple and citrus, with a palate that’s beguilingly delicate. 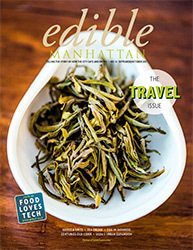 The Edible Manhattan sept/oct. 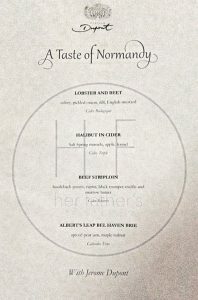 issue (#52) has a feature article on the modern ways of Normandy Ciders : France Route du Cidre – Seeking a deeper, more modern understanding of Normandy’s signature beverage. 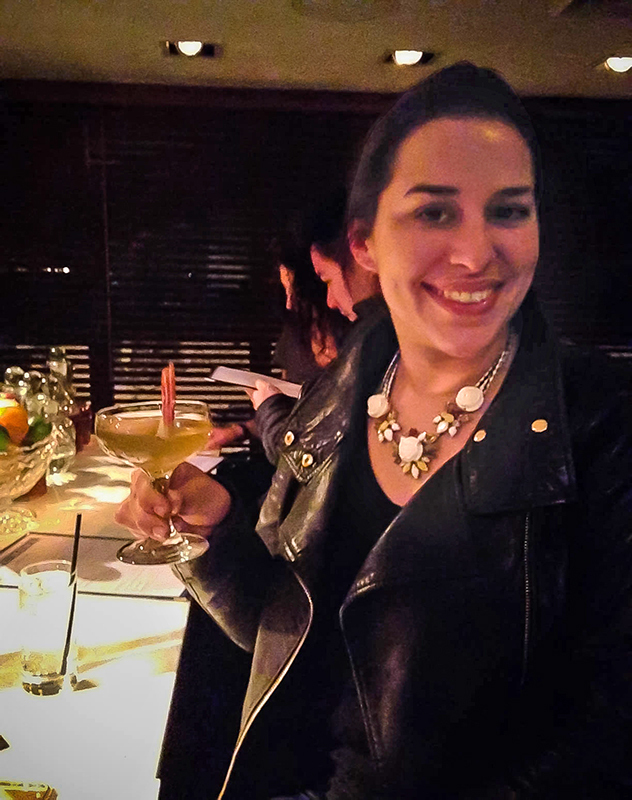 Ariel Lauren Wilson has carefully chosen the places for her to visit and Domaine Dupont was one the very first. 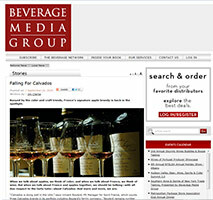 Calvados tasting at Service Bar with the DCCBG. 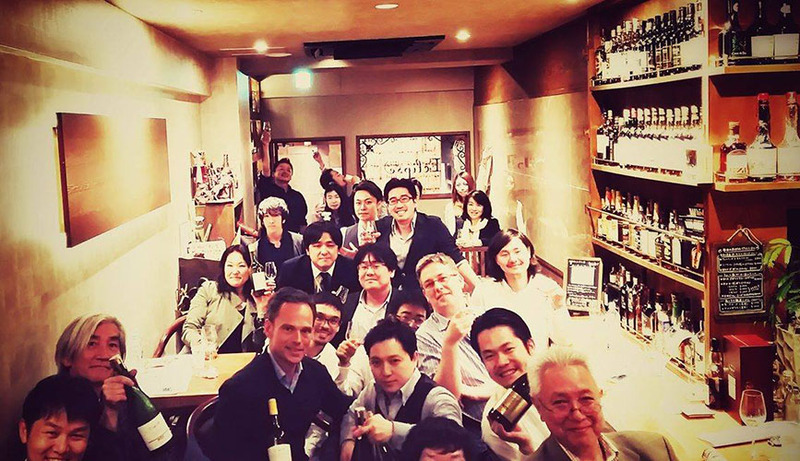 Thank you very much Glendon for organizing the tasting. Diner at Marcel’s, one of the best restaurants in Washington DC. Photo: Jerome Dupont with sommelier/manager Moez Ben Achour. 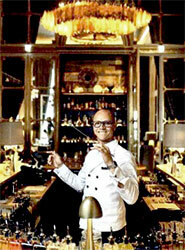 The world-famous Hotel de Crillon in Paris has reopened its doors following a comprehensive four-year renovation. 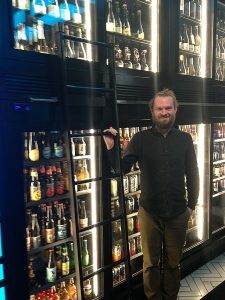 In this world of excellence, the young and brillant Christophe Davoine – Meilleur Ouvrier de France (the highest award in France) – is the new chef-barman. 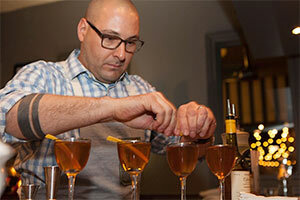 When it comes to cocktails, he likes to work with Calvados and especially the Calvados Original from Domaine Dupont. He has created a cocktail simple and inventive, Calvados Tonic, coming with a celery remoulade and small sticks of apple. 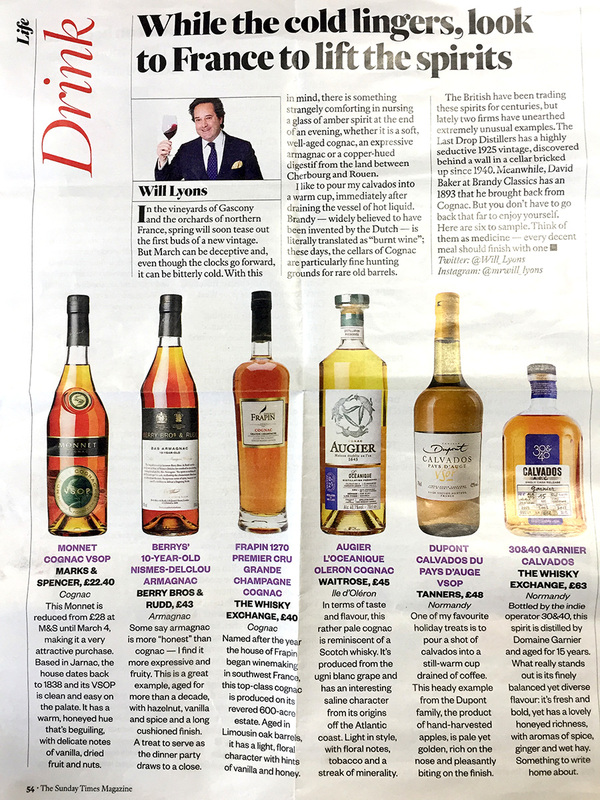 The Sep/Oct 2017 issue of Whisky Magazine tells us everything. 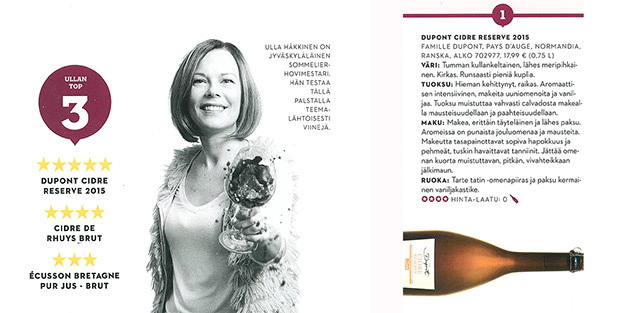 and Domaine Dupont Cidre Reserve 2015 is her top choice ! 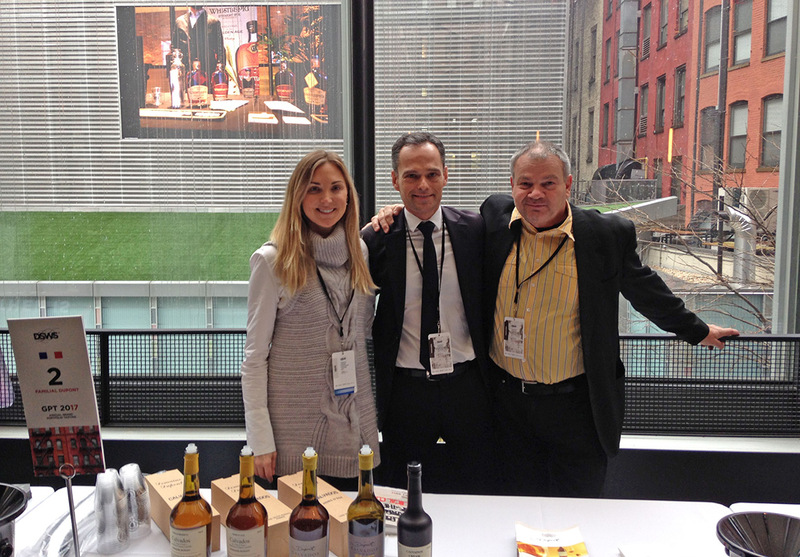 Domaine Dupont in the U.S.A.
Jerome Dupont was in New York for the DSWS 2017 Grand Portfolio Tasting organized by Domaine Select Wines and Spirits, Domaine Dupont Calvados distributor in the United States. >> website. 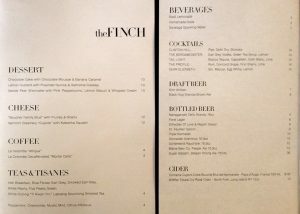 At The Finch, the much praised – and Michelin starred – restaurant, the Domaine Dupont ciders are on the wine list. 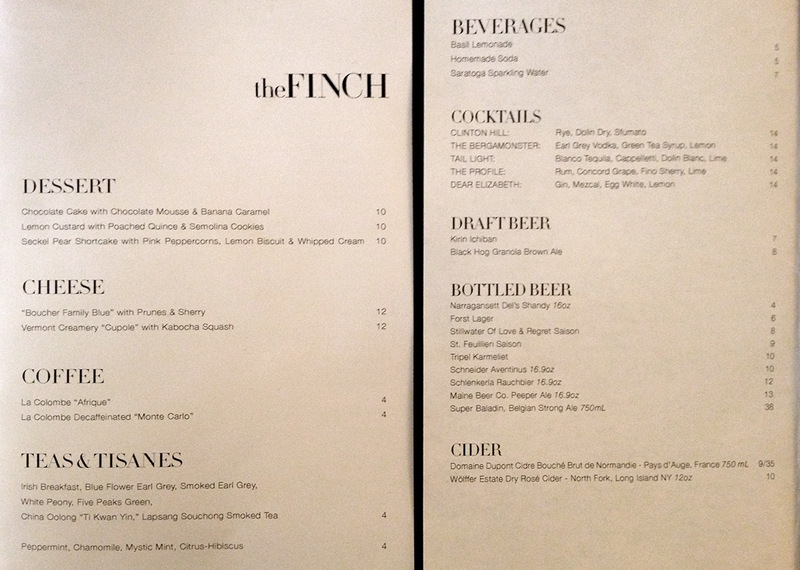 The Finch is located 212 Greene Ave, Brooklyn, NY 11238 >> website. Chef Gabe McMackin, Jerome Dupont, restaurant manager Remy Pascale and Michael Opalenski (B.United). 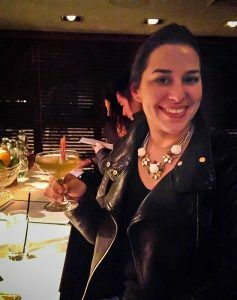 Sipping a delicious Calvados cocktail at the bar S’Zen at Hotel on Rivington (107 Rivington Street, Lower East Side, New York, NY 10002) with Jennifer Amaral from Classic & Vintage Artisanal Spirits – Domaine Select Merchants (left). Jerome Dupont with the illustrious master bartender Estéban Ordoñez (right). 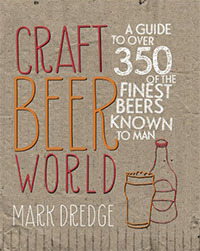 by Mark Dredge – Dog’n’Bone editors, 208 pages – eBook also available. 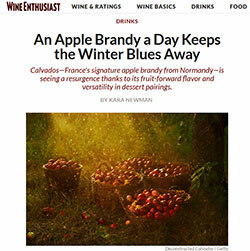 In the latest issue of Wine Enthusiast (12/31/2016), Kara Newman shares her tasting notes of a few selected top-‘notch Calvados. 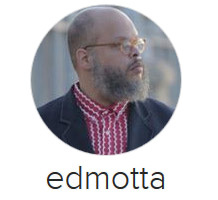 The well-known Brazilian musician enjoys the good things in life and always takes time to share what he likes on his Instagram page. 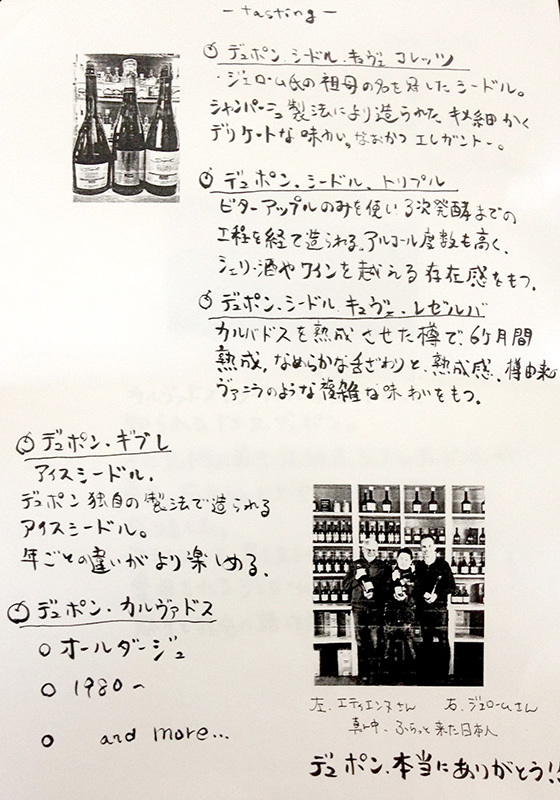 Thus he has recently published two photos of Domaine Dupont ciders, Cidre Bouché and Cidre Réserve. Calvados Spray has been awarded during the 10th Trophées de l’agroalimentaire, a competition created by the Normandy Chamber of Agriculture in order to « promote Normandy innovative products ». 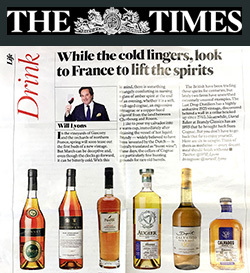 Calvados Spray follows Givre, Cidre Triple and Sweet and Sour footsteps. Indeed, all three has previously been awarded in the same competition. 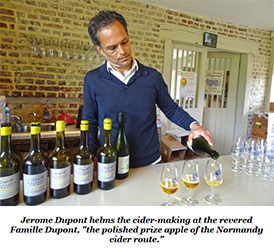 With a history of cider production dating back to 1887 and its own 50 acres of on-site orchards, the polished prize apple of the Normandy cider route has to be Famille Dupont. 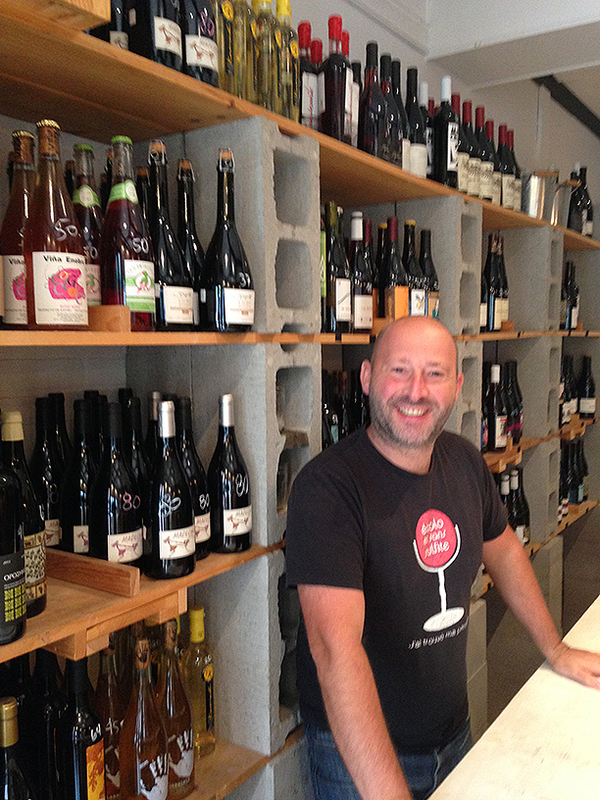 Many Dupont ciders are available in the USA, and Jerome works with American importers B. United in several innovative projects such as utilizing Champagne techniques for sparkling cider, experimenting with a variety of apple blends and aging cider in calvados barrels. Visitors to Normandy should be sure to stop into Dupont’s bright and welcoming gift shop/tasting room and inquire about a tour. 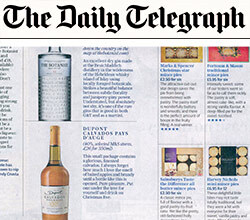 « Stunning calvados and cider, produced in small quantities through timeless methods ». 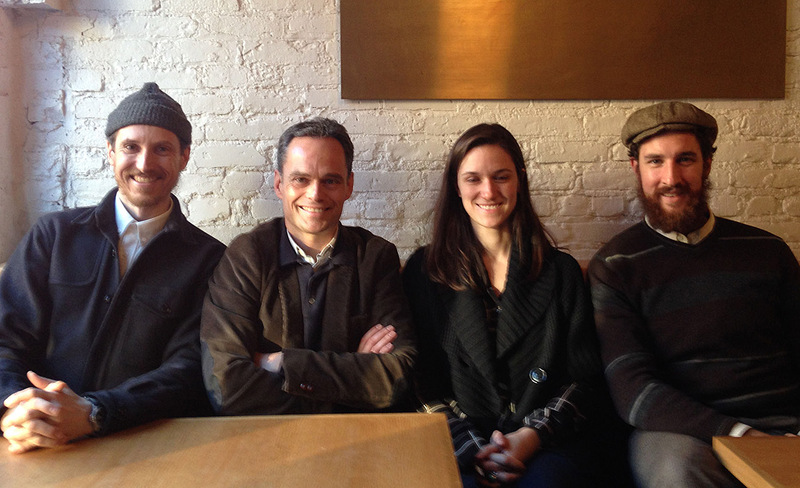 Jerome Dupont came and visit Domaine Dupont’ importer for Quebec : Bertrand Mesotten (left) at the head of Les importations du Moine. He’s a specialist of organic wines. A Domain Dupont Ciders and Calvados tasting was organized at the famous restaurant Lilli.co in Montreal. 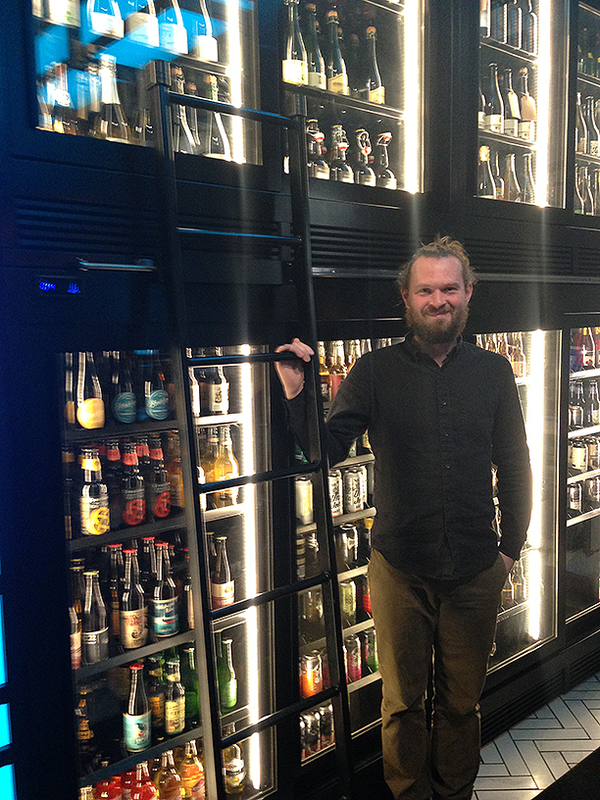 In Toronto, Josh Mott’s Her Father’s Cider (right) is the city’s first all-cider bar. 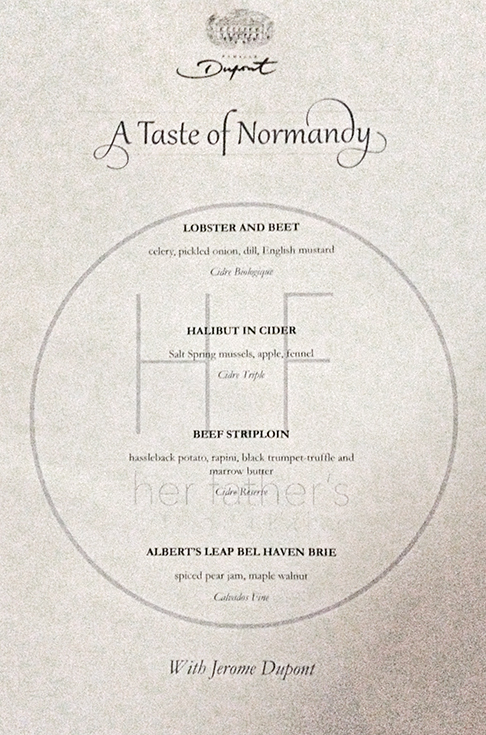 A cider maker’s dinner (center) has been set up to taste Domain Dupont Ciders and Calvados on september 21. 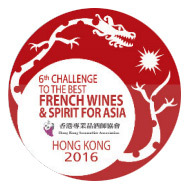 The Best French Wines & Spirits for Asia contest is organized every year in Hong Kong with a 100% Asian jury, chaired by Mr Nelson Chow, president of the Hong Kong and China Sommeliers Association. Domaine Dupont Ciders and Calvados can be found in Tokyo at the ECLIPSE Bar, in Chiyoda City, not very far from the Imperial Palace. 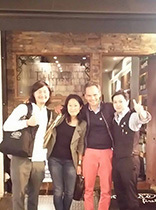 Jerome Dupont was recently there for a special tasting. 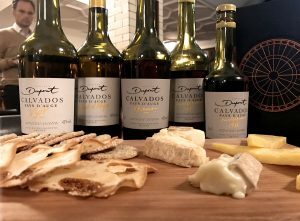 In South Korea, Domaine Dupont ciders and calvados are imported by Jay Kim from GRAPE KOREA, a young company dedicated to bring some of the best wines and best spirits from all over the world to Korea. 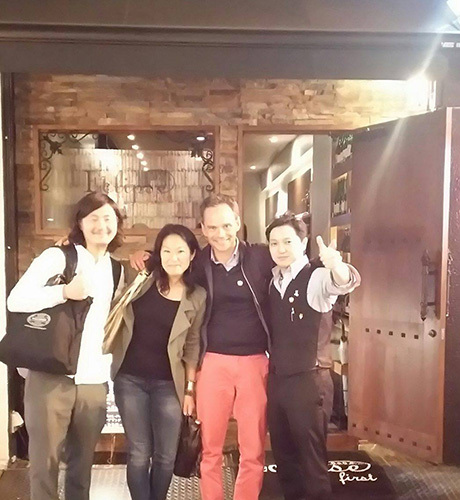 Visiting the country, Jerome Dupont was pleased to note that Domaine Dupont Cidre Reserve is in the Recommended wines section of the wine list of one of the best french restaurant in Seoul, July Restaurant, next to some fine Champagnes. 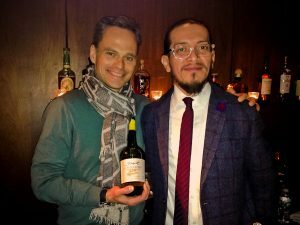 When Marc Jean, head-barman at the Hôtel Normandy Barrière in Deauville, created a new cocktail with Domaine Dupont Calvados a few years ago, was he thinking it would soon be taught to every barman in France ? 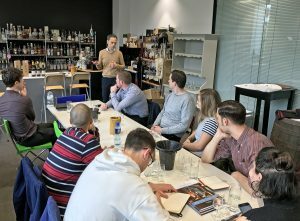 Indeed, due to its popularity, the MOJIDOS has just been added to the ‘Carnet de Cocktails Contemporains’ (= ‘Today’s cocktail handbook’), an official list of the 60 cocktails that every barman-apprentice must know by heart. 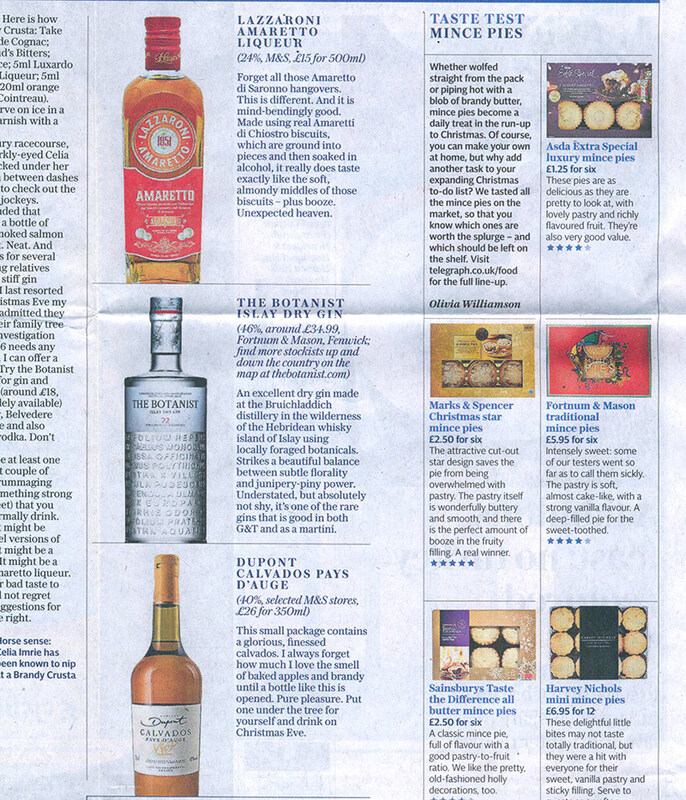 Needless to say that the MOJIDOS is here to stay ! In a tumbler, place mint, lime cut into 4, sugar syrup and brown sugar. Crush it. Fill up with ice cubes, add Calvados and ginger ale. Stir. 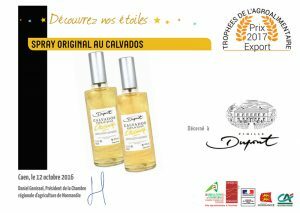 Finish with a spray of Calvados (Calvados Spray). Garnish with fresh mint. 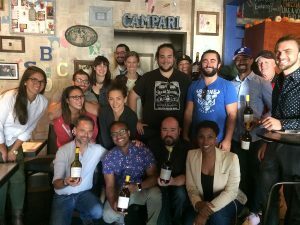 Mike Henderson, beverage director for Root Down, Linger and Ophelia’s Electric Soapbox, has won the regional semi-final of the Bartender of the Year event hosted in New Orleans… with a cocktail made with Calvados Dupont Vieille Reserve. Stir and serve in a Nick & Nora Glass with a lemon zest. 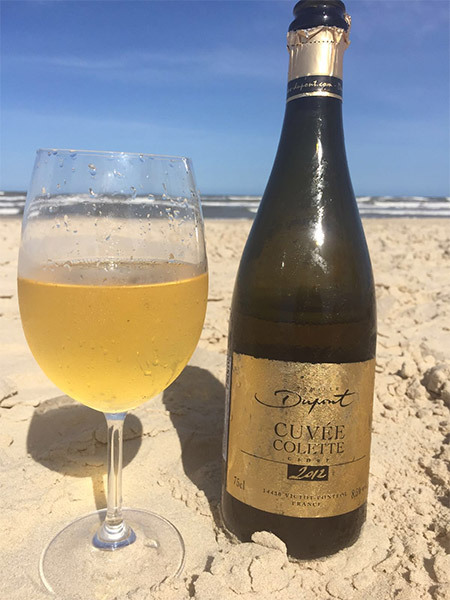 … Sea, Sun and Cuvee Colette. 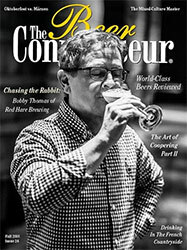 This is how Cliff Rames titles his story about cider in the October/November issue of the California-based SOMM Journal (formerly The Sommelier Journal). 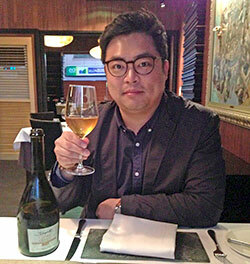 Commenting the rising interest for the hard cider, he shows us how it can have many forms or styles. 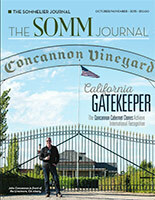 Jerome Dupont is quoted in the article and a nice photo of Jerome Dupont illustrates. 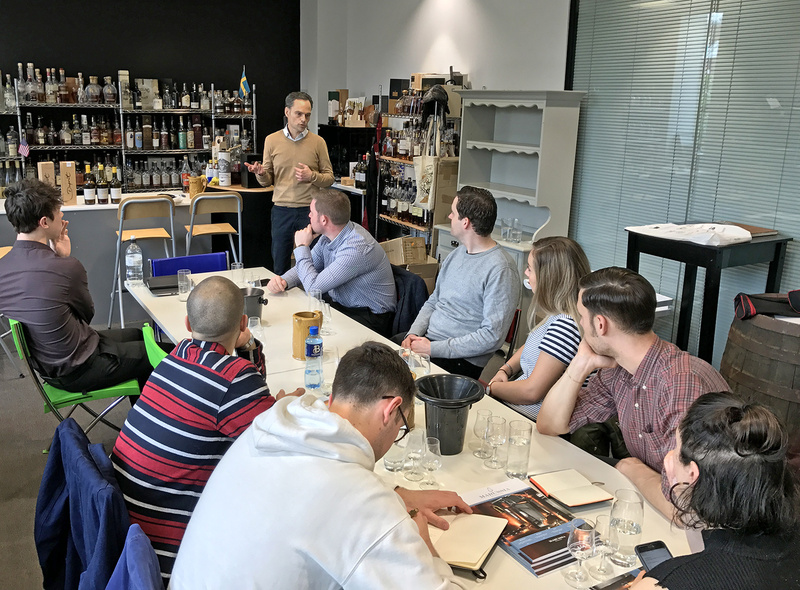 He tells us about it in his Master of Malt blog, a presentation of the estate and fully detailed tasting notes on Domaine Dupont VSOP Calvados. 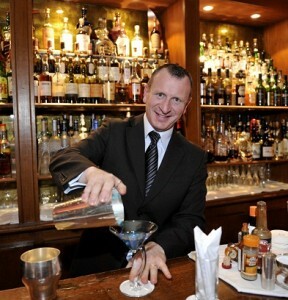 Deauville Normandy Hotel master barman Marc Jean has a new cocktail of his own : The Only Spritz Colette. 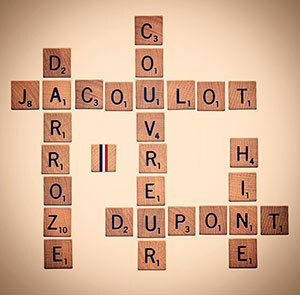 Spritz variant, this is made with Italian Aperol, an orange wheel and Cider Cuvée Colette from Domaine Dupont, the special cider made following the « méthode traditionnelle » (traditional method) of sparkling wines. 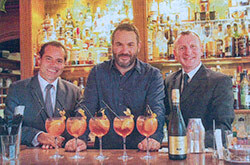 Among the first customers of the Normandy Hotel in Deauville to appreciate this new cocktail was the well-known french TV presenter Bruce Toussaint who has agreed to endorsed it: « This not too sweet dry cider removes the bitterness that bothers me in the classic Spritz », he has told to Le Pays d’Auge local newspaper.